Fourth of July is nearly upon us and it is time to hit the beach! And beaches mean sand – sand to build sand castles, sand that tickles your toes during beach strolls, and sand for beach volleyball and bocce. But what is beach sand? According to http://www.merriam-webster.com, sand is “a loose granular material that results from the disintegration of rocks, consists of particles smaller than gravel but coarser than silt.” These small particles are less than 1/10th of an inch in diameter. The mineral makeup of individual sand particles depends on local and regional rocks, which are eroded by ice and rain, then carried to the ocean by rivers where they are deposited on gently sloping beaches. 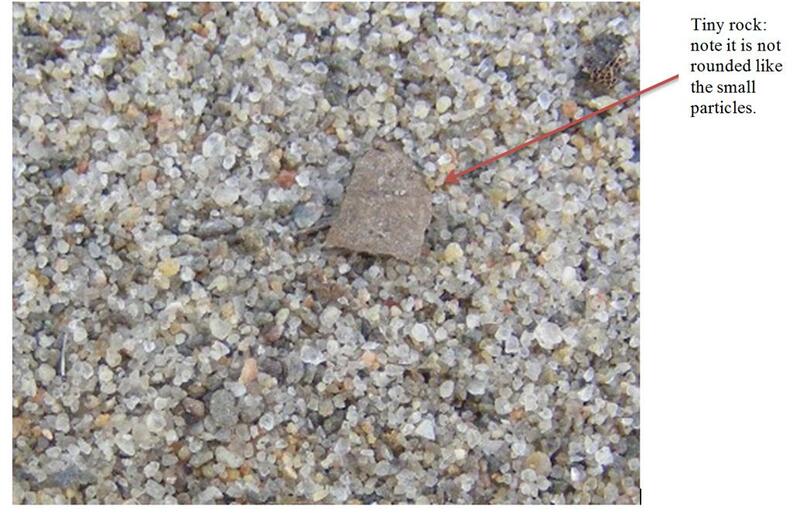 The size of individual sand particles is dependent on the slope of the beach, both above and below waterline. 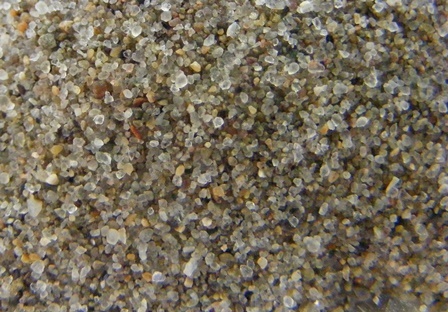 The color of beach sand is influenced by nearby landscapes and ocean bottom. 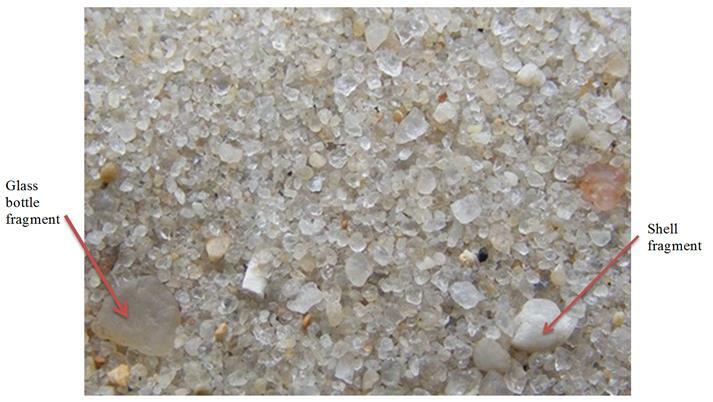 In New York, many beaches have a variety of minerals including quartz, white or clear particles; feldspar, buff-colored particles; and magnetite, black particles. On beaches around the world you will find lava (black beaches), coral (pink beaches), garnet (purple beaches), olivine crystals (green beaches) and more. Some beaches have unique sand such as the orange Kerala coast beach sand in India. 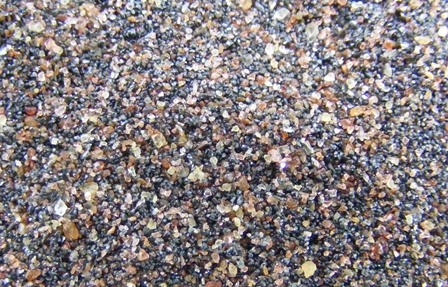 The sand on the beach at Evangola State Park in southern Erie County is principally quartz, feldspar, magnetite, with smaller amounts of garnet, calcite, ilmenite, and hornblende. All of the particles are approximately the same size. Located northwest of Rochester, Hamlin Beach State Park beach sands are mostly quartz, hypersthene (brown and gray), and augite (greenish). Jones Beach State Park has 6-1/2 miles of Atlantic Ocean shoreline; different sections of beach have slightly different sands. 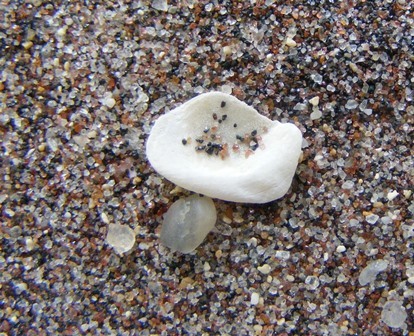 Some parts of the beach have sand that is mostly comprised of quartz with a little feldspar and tiny shell fragments. Note that the clear quartz particles have different sizes. Other sections of beach at Jones Beach State Park have quartz, garnet, and magnetite sand with a few tiny shell fragments. All of the particles are about the same size. The beach at Robert Moses State Park, also on the Atlantic Ocean side, is mixture of quartz, garnet, magnetite, and shells. The shell in the photo is about 1/3” long; larger glass piece is about 1/6” long. The beaches on the north side of Napeague State Park and Hither Hills State Park are along Napeague Bay. 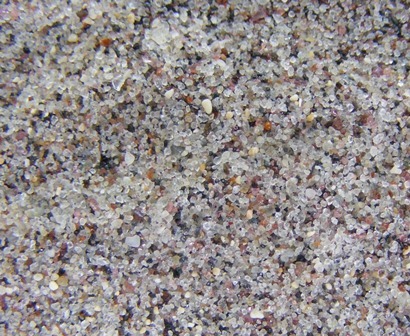 Here the sands contain magnetite and garnet which give the sand a purplish hue. Bring your magnifying glass the next time you head to a NYS Parks beach. You might be surprised at what you see when you take an up-close look at the sand. 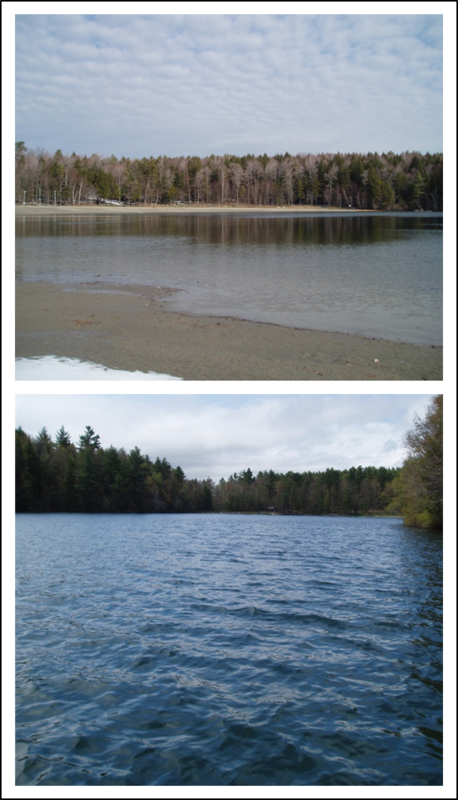 Thanks for Anne McIntyre, Dave McQuay, and Megan Philips for their help with collecting sand samples for this article. Post and sand photos by Susan Carver, OPRHP. Pilkey, Orrin H., William J Neal, Joseph T. Kelley, & J. Andrew G. Cooper; The World’s Beaches : A Global Guide to the Science of the Shoreline; University of California Press, Berkeley, 2011. The turn to chillier temperatures reminds us all that there’s so much to look forward to in the wintertime at New York State Parks. One of our favorite winter phenomena are the ice volcanoes that form along the eastern end of Lake Erie shoreline. 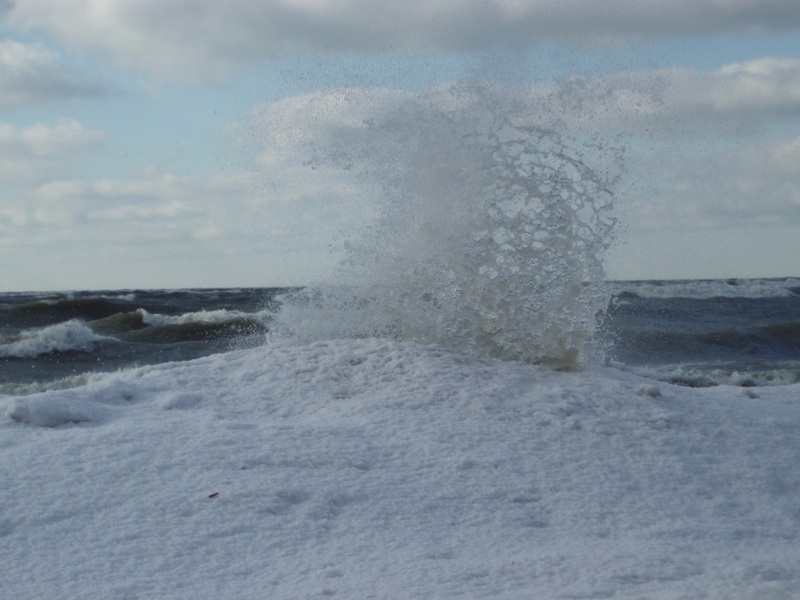 During cold weather, waves splash against the shore where the spray and slush form cone-shaped ice sculptures. In the middle of the cone is an open vent. 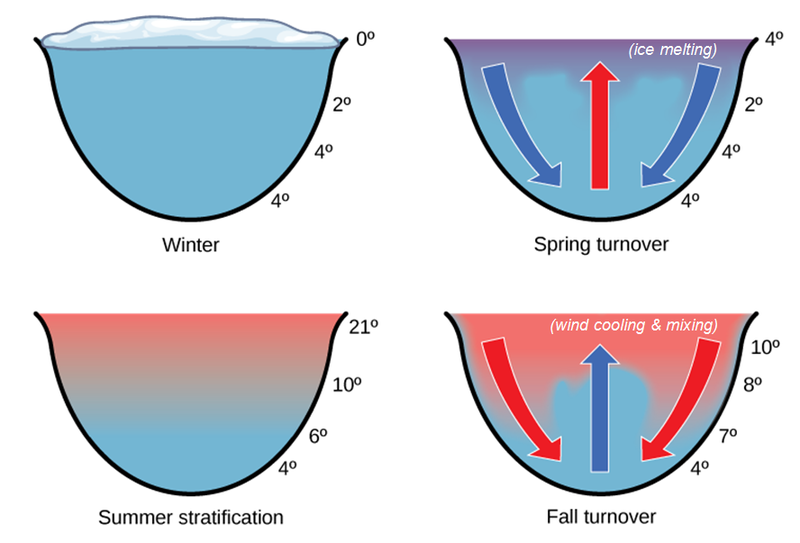 As long as Lake Erie has open water, the waves roll under the ice volcanoes and are channeled through the vents. Water explodes into the sky as much as 30 feet high, increasing the height of the ice cone. 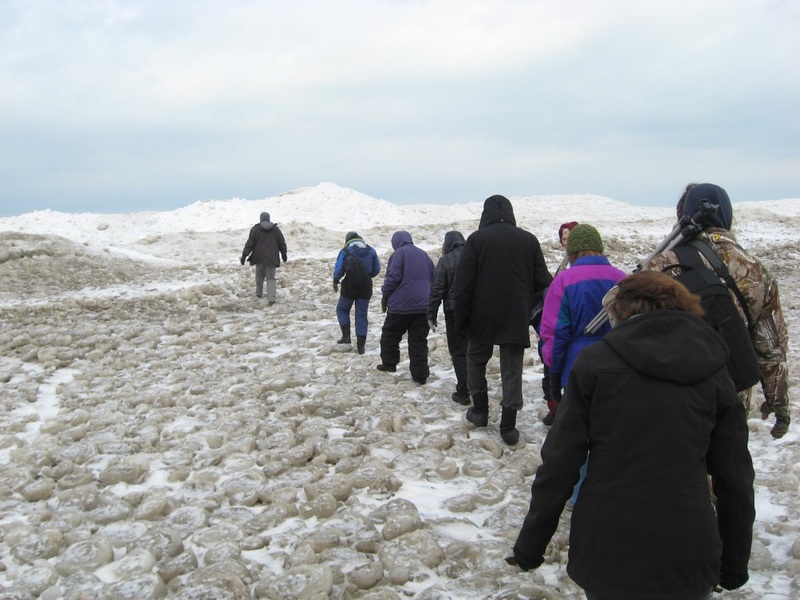 When Lake Erie freezes over the ice volcano vents freeze shut and they become “inactive ice volcanoes.” At Evangola State Park, naturalists lead school and public groups to see the amazing ice volcanoes and ice sculptures that are a rare phenomenon found only on a few of the Great Lakes. featured image is of park patrons in an ice cave, another unusual ice formation along the Lake Erie shoreline at Evangola State Park, photos and post by Dave McQuay.